Watching the clips of the declaration of a coalition of Northern youth groups claiming to speak for all ethnic nationalities within northern Nigeria, plunged me into a sea of thoughts. it was pleasant to see that Nnamdi Kanu has literally brought Nigeria to its knees using the most powerful weapon of all: Truth. IPOB hasn’t killed anyone neither are they planning to, but the country is already mirroring the path of Hindustan at their split. Also pleasant to note is the realization that many ethnic nationalities locked up in this hopeless colonial cage, have longed for the apple of freedom but lacked the courage, resilience, and momentum to reach for it. The Kaduna declaration, however, has a lot of falsehoods and should be pointed out for posterity sake. The “methuselah” youths pointed that ‘Igbos are recklessly disrespectful, ungrateful and staining the country’s image with their insatiable criminal obsessions.’ Isn’t it ludicrous that the Hausa/Fulani hegemony speaking through its youth wing, hiding under the umbrella of Northern Nigeria would talk about disrespect of Igbos to other federating units? 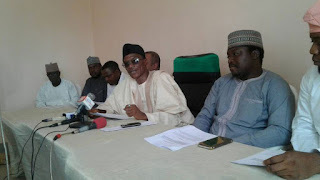 What of Hausa/ Fulanis disrespect for those within its federating unit: the North? Whose disrespect lead to loss of thousands of lives in Plateau, Taraba, Agatu and even the on going genocide in southern Kaduna? What kind of disrespect is worse than having your kinsmen march into people’s lands, allowing cows devour people’s source of livelihood, and have the people macheted to death when they arise in protest? The Arewa youths must mean respect when same herdsmen are armed openly with lethal weapons marauding through lands unchecked by the arewa dominated security apparatus, while others caught with a pistol, from other regions are prosecuted for bearing arms. It's not disrespectful for thousands of Biafrans and other Christians to be killed in horror manners because of events taking place in Denmark or the 9/11 bombings. Its still not disrespectful when the kingpin behind the madalla church bombing escapes from custody but peaceful Biafran agitators like Benjamin Madubugwu, David Nwawuisi, Chidibere Onwudiwe, Bright Chimezie Ishinwa, and others as well as Yorubas arrested in the aftermath of the ile-ife crisis, where both Hausa and Yorubas were victims: remain under tight vigilance in custody. One can go on for a long time, but as they say, sometimes one fails to remove the plank in his eyes but wants to remove the speck in someone’s eyes. I am not trying to insinuate that the Igbos are saints, of course not. There are vices ranging from fraud, theft, kidnapping, drug trafficking, and other financial related crimes, some people have turned to since after the civil war. Some school of thought harp it on the economic malice waged on the Easterners by the rest of the country, some others say it's due to greed and loss of societal values, I say its all of the above and no excuse justifies their take to crime just to get rich quick. Hopefully, in our fledgling nation, these criminals won't be given space to breed, they will be continually fished out and dealt with appropriately to prove to the world that the Biafran nations, historically has zero tolerance for such vices. The Igbo may be bad, just as you may find bad citizens in every ethnicity and nations, but no Igbo has attempted to blow up a plane filled with innocent passengers, no easterner is involved in the management of the deadliest terrorist group in Africa. When next these Arewa people decide to point fingers on those tarnishing the so called Nigeria’s image, they should realize that four fingers point back at them. The 30th May 2017 sit at home order issued by the leader of Indigenous People of Biafra, Mazi Nnamdi Kanu and was obeyed across Biafraland must have put some quarters into a state of mental topsy turvy, they never knew it had reached this level. Instead of accepting the reality, they now try to peddle falsehood of how Indigenous People of Biafra (IPOB) staged a forceful lockdown of the entire old Eastern region! How? When an intimidating horde of security personnel; land and air; was dispatched to Biafraland to ensure no one forces people to stay indoors. How then can these people sit in Kaduna and declare such fallacy to the world? Which news outlet do they use? Even international and local media houses adjudged it a peaceful, people oriented action. They must have really enjoyed seeing dead bodies litter the cities as an aftermath of peaceful protests in the past, courtesy of the security forces. If not, I see no reason why these ‘youths with no age limits’ will say the government has been indifferent to the Biafra agitation. How did indifference lead to the death of more than 500 innocent men and women whose only crime as to demand their right to self-exist, or the hundreds locked away in various detention camps in Nigeria or the fact that they attempted to try Mazi Nnamdi Kanu secretly for reasons best known to them? These doesn’t seem indifferent to me. The world must take into cognizance that the call by arewa youths is an attempt to provoke the Biafrans to derail from their world acknowledged peaceful modus operandi in the agitation for a sovereign state. The temptation to go violent must be resisted by Biafrans no matter what happens in the north after Oct.1, 2017. The international alliance of 1967 against Biafra may still be viable, so we must give the international community no reason to doubt our observance of the UN laid down path to Self-determination. The world must have no excuse for turning a blind eye to the pains of Biafra like they did five decades ago. As the 2nd flight to Biafra commences, I urge those easterners who have built Dubai in the north to consider insuring these properties using international insurance companies. It may not be too late because these people may decide to disregard the fact that in sane climes, properties are not confiscated in such manner in event of a breakup. Alas, this is Nigeria, assumption that people will behave sanely is a luxury we can't afford.